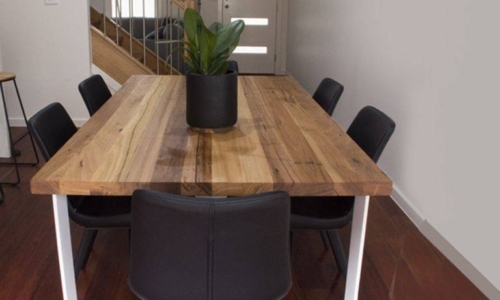 Our custom made dining tables are crafted with precision and have long-lasting appeal. 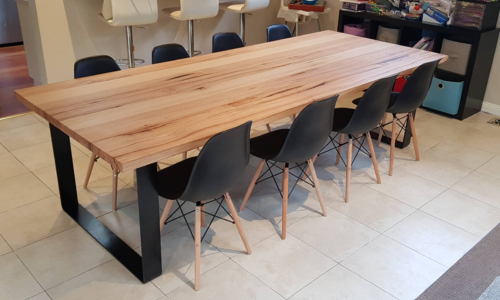 Check out dining room tables at J R Bespoke Designs, featuring wide range of shapes, sizes, materials and styles. 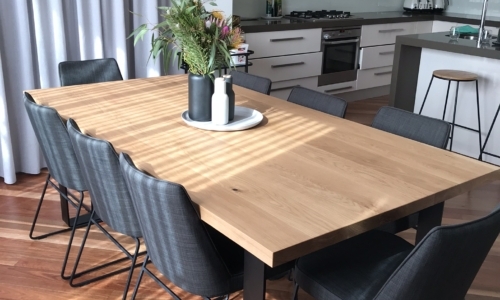 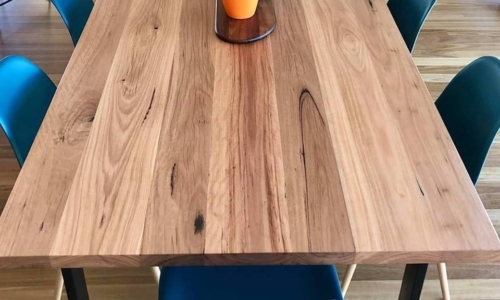 Our Hoop leg dining tables are available to any size and in any timber, you can see a few more of our timber options below. 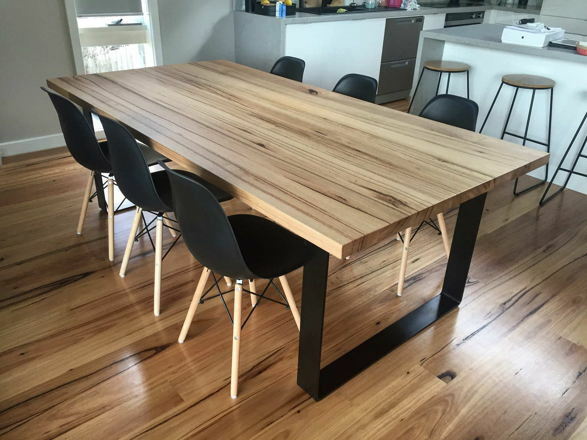 Place an order for your Dining Table in Melbourne, Sydney, Brisbane, Gold Coast, Adelaide & surrounding area. 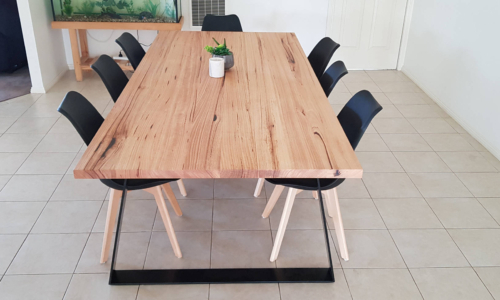 Like these Trapezoid Steel Legs? 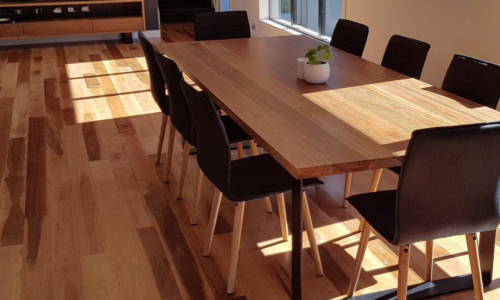 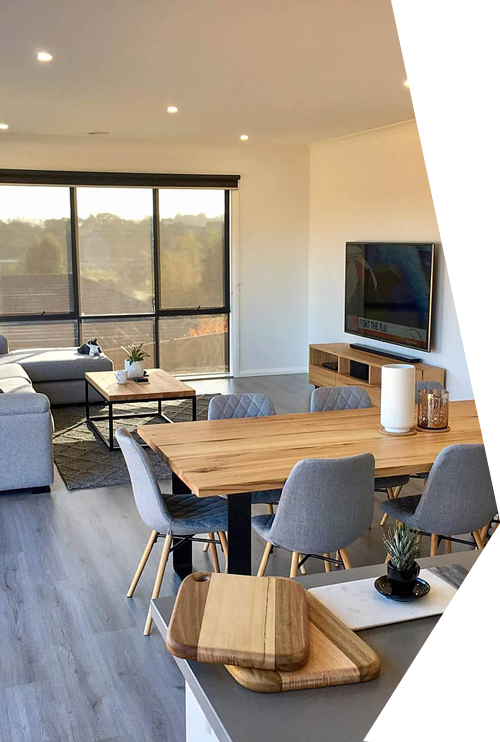 We offer wide range of Custom Made Furniture, Modern Round Dining Tables, Custom Made Tables, Custom Built Entertainment Units & Built in TV Cabinets.